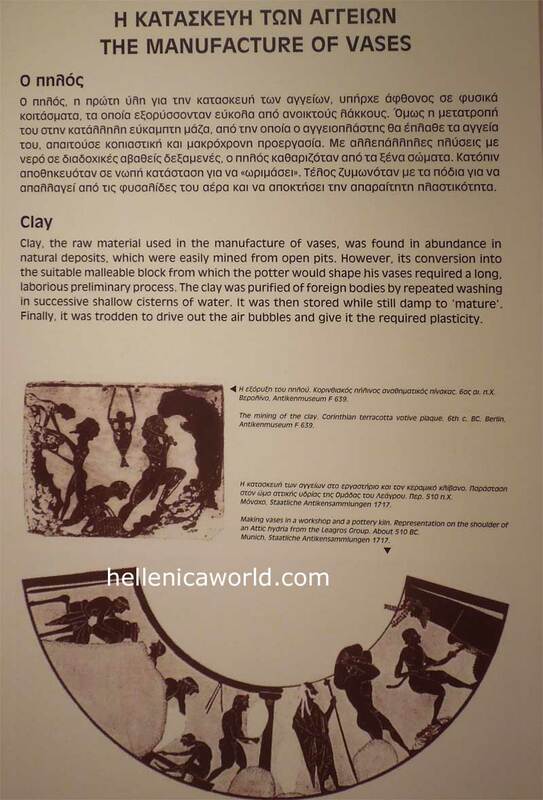 Clay, the raw material used in the manufacture of vases, was found in abundance in natural deposits, which were easily mined from open pits. However, its conversion into the suitable malleable block from whih the potter would shape his vases required a long laborious preliminary preoess. The clay was purified of foreign bodies by repeated washing in successive shallow cisterns of water. It was then stored while still damp to 'mature'. Finally it was trodden to drive out the air bubbles and give it the required plasticity.